I am an Olympic Pin Collector now living in Smithfield, Kentucky. 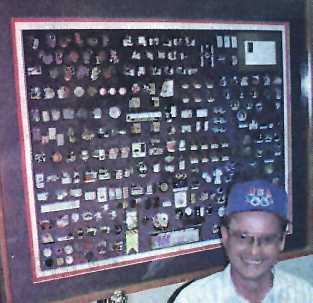 I started collecting pins in 1996 while living in Atlanta, Georgia. I collect Bid (Applicant and Candidate City) pins from all past and future Olympic Games candidates. I also collect NOC, Team sponsor, Media and Internal pins from the 1996 Atlanta Games. I enjoy trading pins but I also buy and sell. I have many pins to sell or trade. Please email me if you are looking for a certain pin or have pins to trade. Click "Wanted" to see pictures of some pins I am looking for.